When I import a RAW file to develop persona the orientation is ignored. I found out that the crop tool is able to rotate the image but it also crops the image to the canvas size - I guess this is not the intended way to simply rotate an image. But how can I rotate an image in develop persona? Currently it's not possible to rotate the image in the Develop Persona. The commands were already there but they were removed at the last minute due to some issues with the code. This will be fixed soon and made available again in one of the next updates. Thanks for your fast response! So, I will rotate my head instead until there is a fix available ;) Never mind, you guys did a terrific job so far! Does the same restriction apply after developing the image? When I rotate the image, it is cropped. That really does limit the usefulness of the software which is a pity as I like using it! 1. Drop RAW into Affinity Designer. 3. Rotate Image manually, (Mouse over the corner of the crop box) hold shift if you need to snap it. 4. Click Rotate once from the top navigation. It's a little tedious, but until they fix the problems, this should do the job just fine. No, you can rotate an image in Photo Persona without restrictions. Go to menu Document ▹ Rotate 90º Clockwise or Anticlockwise. Please show me where I can locate the boxes as shown in screen shot, for rotating an image. These buttons were only available in an earlier version of Affinity Photo (in Develop Persona). Due to some issues they were later removed and weren't implemented back yet. 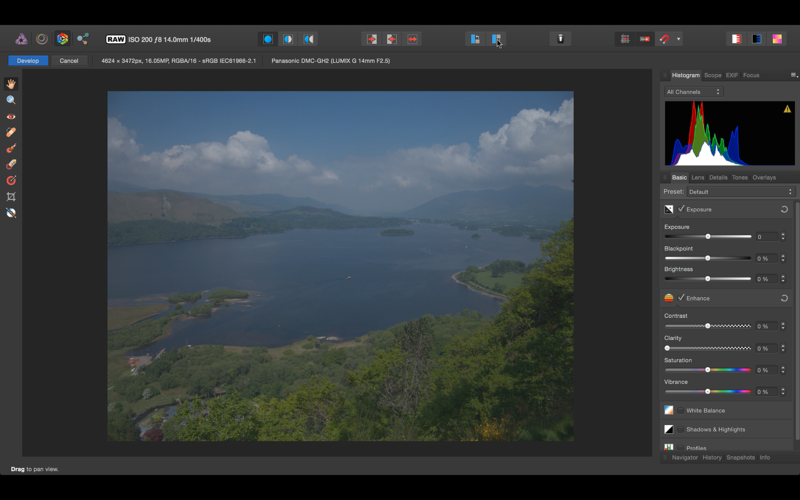 I just bought Photo and it seems like a true sibling of Designer - but the only way to rotate a RAW-photo as I can find is by15˚ each time through the View-menu and there is no shortcut or anything. I don't see any Document-menu, only when I work on a photo in another format. 15° rotate is not true document rotate, it just rotates VIEW for convenience for tablet paint work. At the moment you have to develop RAW first and then rotate image in normal photo persona. Rotate in develop should be coming as it is essential tool. Could you provide a bit more information on when there will be a better ROTATE functionality in the Develop Persona. Having to go in the menu every time for a 15 degree rotation is not a desirable work flow. I would prefer to have simple button in the menu with the option of a 90 degree turn. A keyboard short cut will also do. As Fixx said, the menu options for rotate left & right only affect the view of the canvas, not its actual rotation. As with everything else in a menu, you can set shortcuts for these items (Preferences > Keyboard Shortcuts > Develop > View). There is also a preference in the Tools section to enable canvas rotation with a trackpad (may be Mac only/). Thanks R C-R for your reply. Apologies for having mixed up Rotation with View. I do mean, it would be nice to have a button (or shortcut) to change the view for those images - all in my case - that are not displayed correctly. Of course I can rotate the image in the Photo Persona but it would also be nice to change the view in the Develop Persona as it makes for an easier workflow while editing the raw image. Hopefully this very minor change will be implemented in a forthcoming release. Initially there was buttons to rotate the image in Develop Persona but we had to remove them later due to some issues. I believe they will be added back as soon as we find a solution for this. I too was searching for a way to rotate images in the Develop Persona, and found this post instead. I manage my photos in Photos for Mac and use the Affinity extension to edit RAW images. I need the ability to rotate images effortlessly in the Develop Persona without switching to the Photo Persona just for rotation, and I hope to see it at the earliest. Meanwhile, if there are any keyboard shortcuts for rotation in the Develop Persona, that would be appreciated! Very good job, many thanks to the staff. Here is my workflow concerning RAW rotation of NEF files (Nikon RAW) in Affinity Develop Persona. Firstly, I open a NEF folder in Nikon's ViewNX2 software, then I rotate all pictures in a folder as it is needed and afterwards I close the ViewNX2 (no export or so). Next when I open NEF images in Affinity Develop Persona all of them have the position I exactly need - horizontal or vertical, so than isn't necessary to rotate a picture. Hope this helps. This was already implemented in the program. There's now two additional buttons on the main toolbar to rotate the image/change orientation in Develop Persona. I'm using Affinity Photo 1.6.4 on Windows and those buttons don't appear for me. Did they get removed? They only appear if you open a RAW file. If you are in Photo Persona already, select a pixel layer and switch to back Develop Persona they will not appear. Note that currently they were only implemented on Mac. Since you are using Windows they will not appear for you. They only appear if you open a RAW file. If you are in Photo Persona already, select a pixel layer and switch to Develop Persona they will not appear. 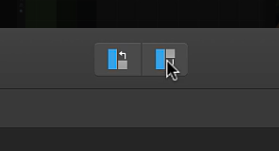 Maybe I am misunderstanding something but these buttons do not appear in the current Mac version of Affinity Photo when I open a RAW file. I do not have a camera that shoots RAW but I have tested with a variety of downloaded files in NEF, DNG, & other RAW formats. There is no sign of these buttons, either in the Develop Persona Toolbar or in the options for customizing it. Since you are using Windows they will not appear for you. @MEB (or any other staffer), is this still true for the 1.6.7 Mac version of Affinity Photo? As I mentioned above, they are not in the main toolbar of the Develop Persona for me, so does that mean there is something wrong with my copy of the app? They are not in my 1.6.7 for macOS. They also are not available for adding via the toolbar editor. As said the rotate commands are available on Mac only. They may not appear to some users due to a bug that prevents them from displaying in certain circumstances (changing document tabs, toolbar customisation). This was logged sometime ago to be looked at.